While I wait for the rain to pass why not write a blog-post… because they are slowing down with lack of inspiration and not needing to cook. Once our summer travels are done I know I’ll want to get back in the kitchen but when my husband was gone for a week I wasn’t going to cook a gourmet meal for one. Now it’s my turn to travel and then in a few weeks it’s his again. Boil the pasta (lightly salt the water; the dressing & blue cheese will add plenty of flavor) when it is fully cooked, drain the pasta & set aside to cool. While the pasta is cooling, mix the “dressing” ingredients in a large bowl with a whisk (use a really large bowl so you can serve the salad in it). 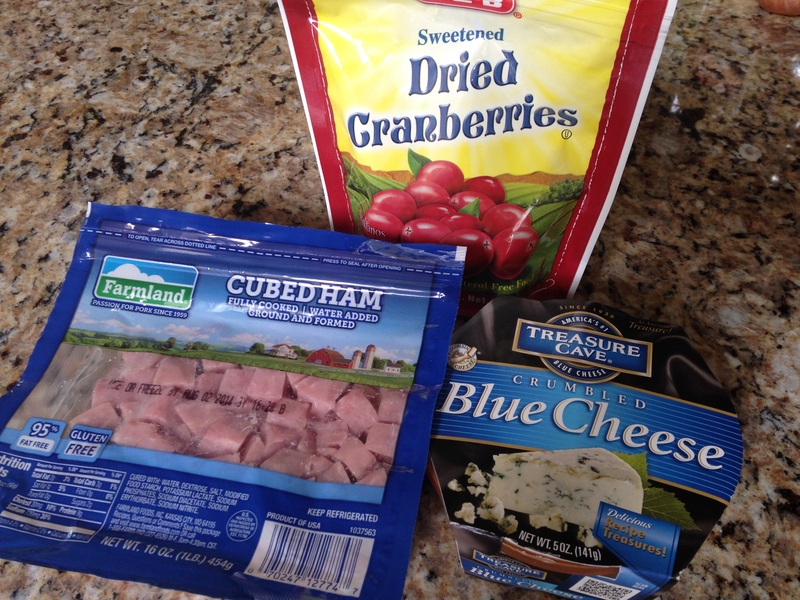 Combine the cubed ham & dried cranberries. Mix together with a spatula evenly coating everything. 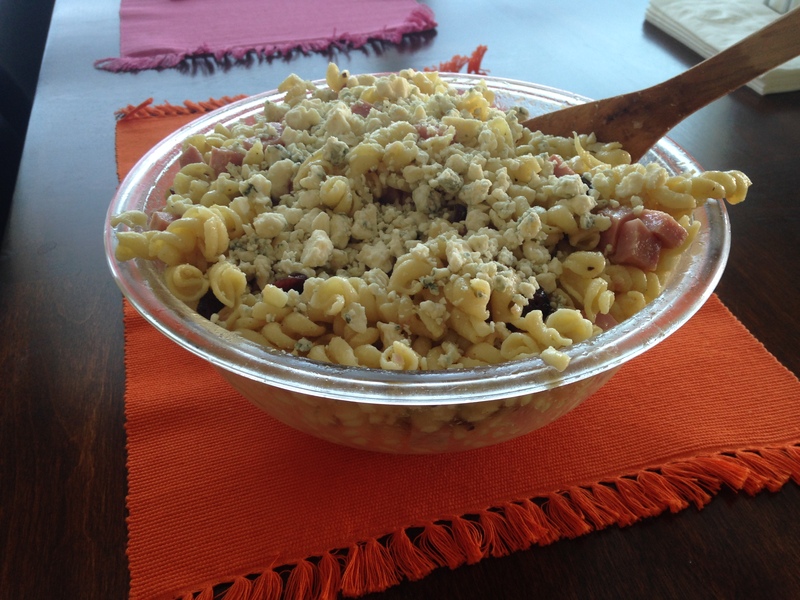 Once the pasta is cooled add it to the large bowl of dressing/ham/dried cranberries. With the spatula, fold everything slowly to evenly coat the pasta. Be gentle so you don’t tear or rip the pasta. Chill in the fridge 4 hours (or overnight; cover with plastic wrap); when ready to serve, fold the salad again & sprinkle the crumbled blue cheese on top. 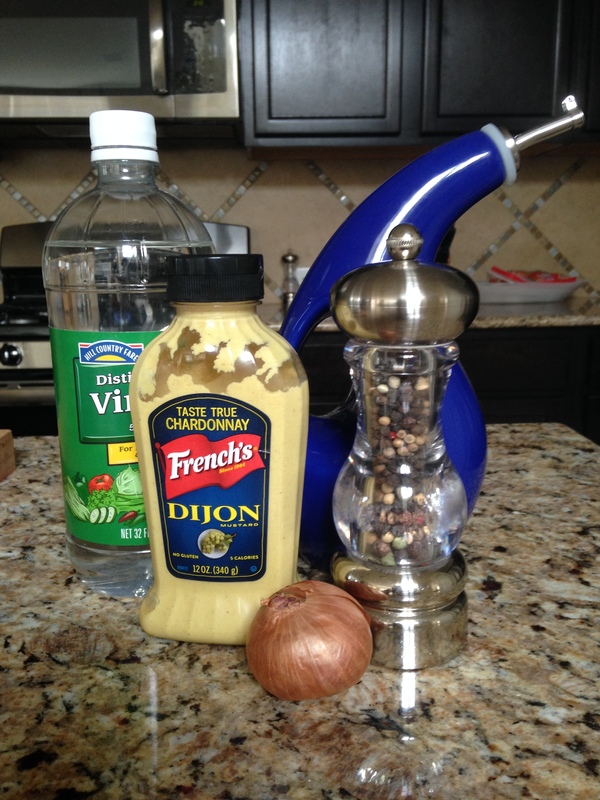 I did cook one real meal this week, it’s an easy one but really flavorful…enjoy! 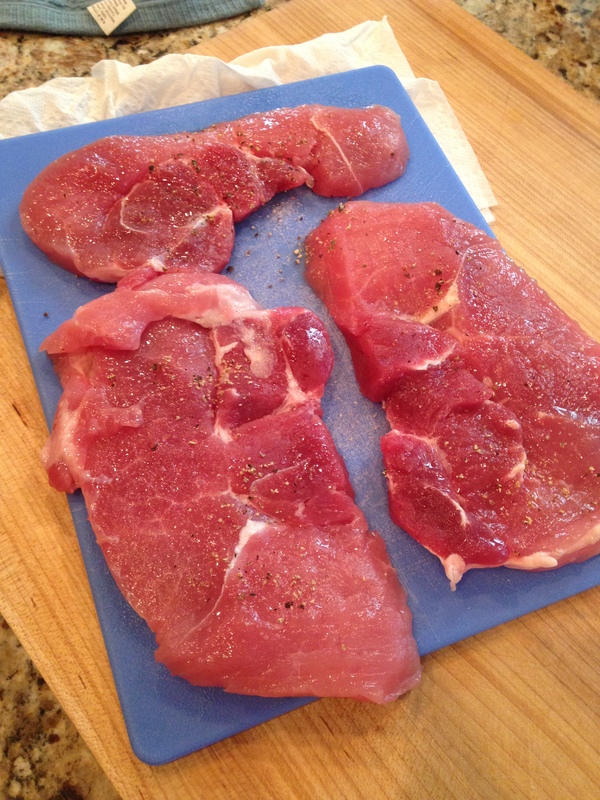 Sauteed onions with just 2 scoops of butter 😉 … pork loin steaks – so good! We love pork but it was nice to eat a different cut of the meat. 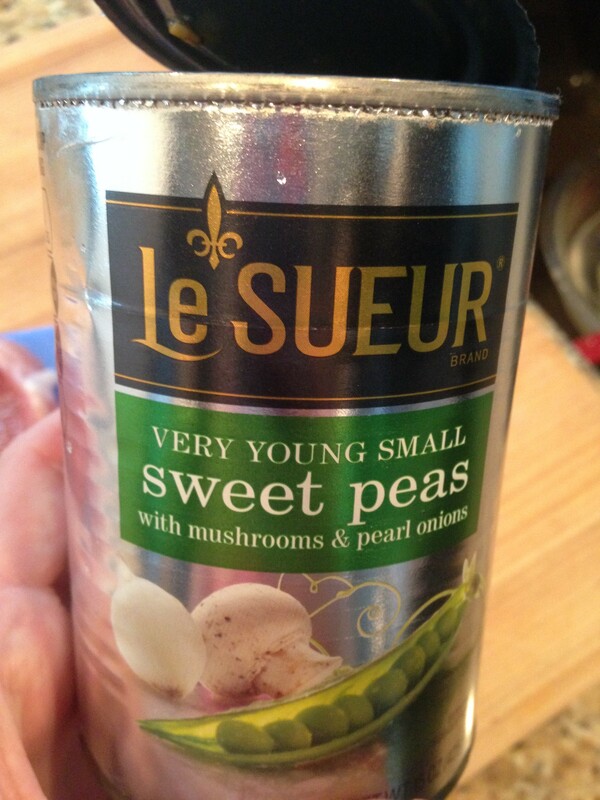 Cheated on veggies but the ‘silver can’ peas are so yummy. 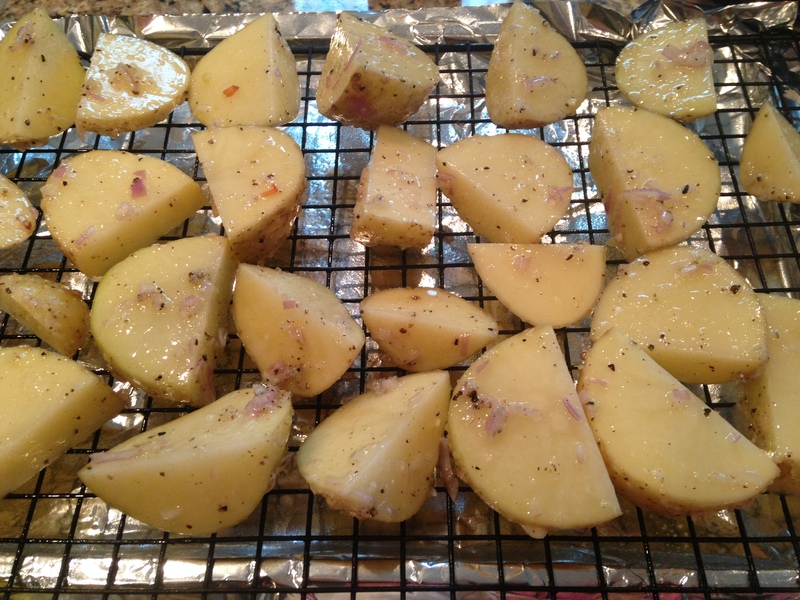 Yellow potatoes (use a large bowl to mix: cut into wedges, sprinkle salt & pepper, 2 grated garlic cloves, and 1 diced shallot… drizzle on EVOO and fold with a spatula) – bake at 400 for 45 min. 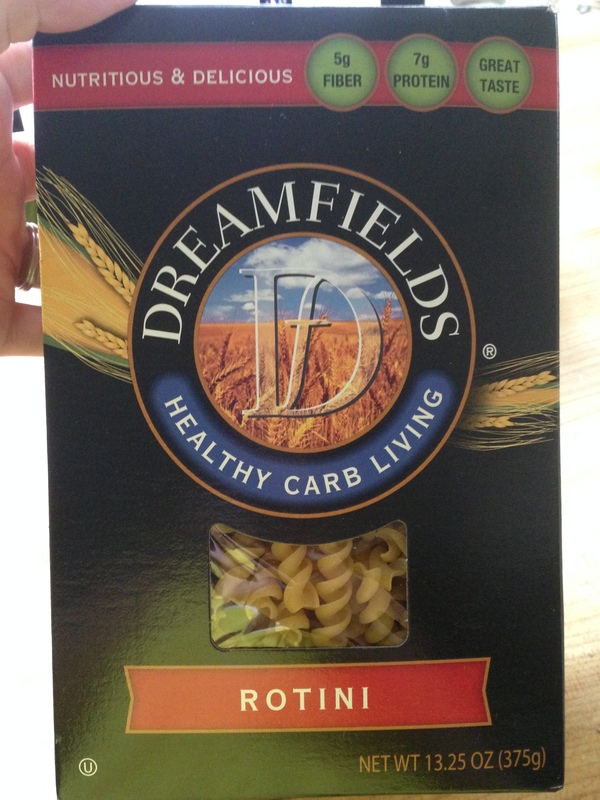 So that’s that… it was salsa chicken last night and tonight is spaghetti. Of course there are plenty of leftovers so my husband doesn’t starve while I’m gone. As for my trip, I’m really looking forward to eating Czech & Polish food – pierogis and sauerkraut here I come… getting back to my roots! And some Italian sausages (not my roots but certainly a ‘must have’ while in Chicago) … I’m so ready for something other than BBQ and Mexican food. Texas, I love you but I need a break. « I ran out of ketchup. I make with red potatoes same other ingredients and sprinkle in a little parmesan, wrap in foil put on 350 grill while grilling other stuff about 30 minutes. Have some pierogies for us, really miss them and don’t forget the Italian beef too, get a beef sausage combo. Have lots of foodie places but the pierogies are not the same in AZ.